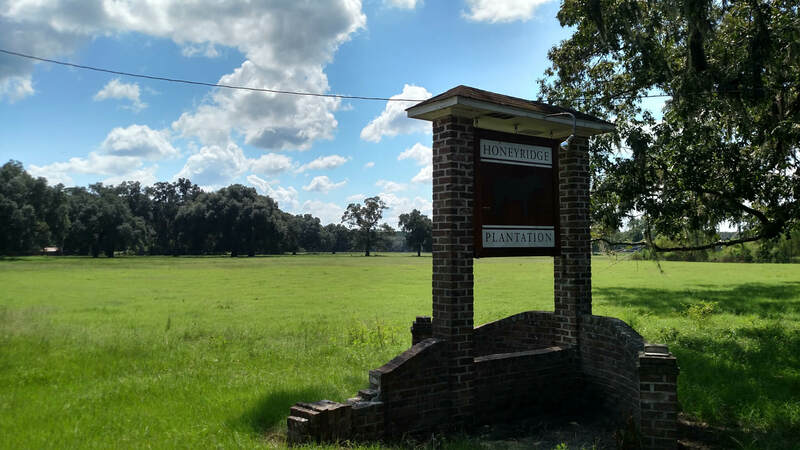 Honey Ridge Plantation is located just 3 miles south of Guyton, GA, less than a mile off Ga Hwy. 17 in the small community of Pineora on paved Honey Ridge Plantation Road. Savannah/Hilton Head Island International Airport and Downtown Historic Savannah, lie southeast 23 miles and 27 miles respectively. Springfield, the county seat and Rincon both lie less than 10 miles northeast and east of the property. Statesboro is some 29 miles west. This beautiful Live Oak laden farm fronts along Honey Ridge Plantation Road approximately 3000 ft. A grand entranceway complete with sign is adorned by a magnificent Live Oak Lane leading into the property’s center and the homestead sets the tone for an exceptional farm. Some 192 acres of Bermuda grass pastures and cultivated seasonal grazing areas all fenced and cross-fenced accents a Lower Coastal Plain/ Low Country appearance. 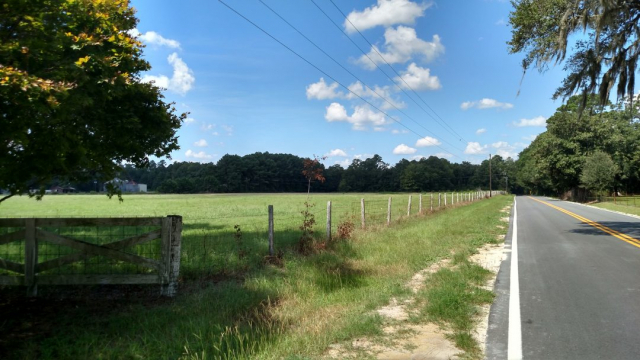 Approximately 78 acres of the property is covered with mature pine and hardwood timber. About 30 acres lies in an old pond site where dams have broken in more recent years and not repaired. 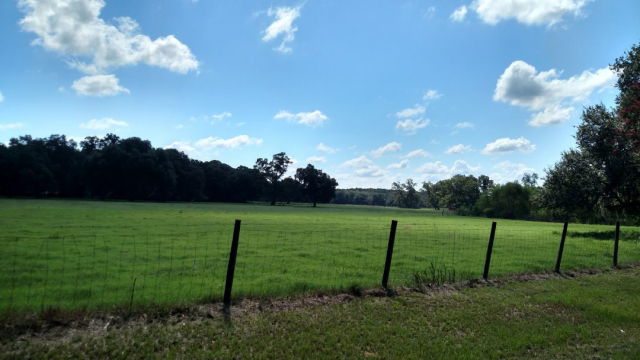 There is approximately 3 acres total in 3 separate ponds around the farm with about 8 acres in home sites and out buildings. Three strategically located deep wells provide water for the homes, cattle and farm. They are linked together to provide water throughout should one fail. 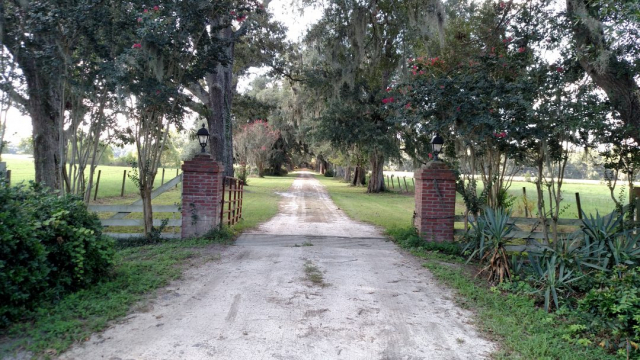 The property is zoned AR-1 (5 acre tracts). Water for the farm is supplied by 3 deep wells and individual septic tanks handle the sewage created by the homes. Cattle feeding barn w/ finished office and bathroom, 14,000 sq. ft.
Two large equipment pole shelters totaling 6400 sq. ft. 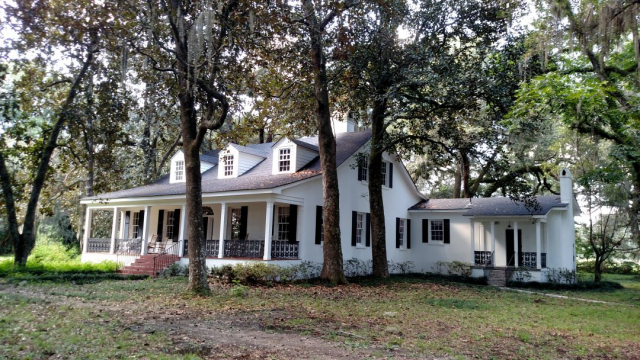 This has to be one of the most unique and attractive farms in southeast, GA and located very convenient to Savannah. Though time has taken its toll on the improvements, “they have great bones”. Whether your use is for cattle farming as the farm has served in the past, or a homestead close to town. There is no denying that this property has a great future as it is rapidly transitioning into a fine development opportunity. With development adjacent and pressing at several corners, this property could be a candidate for preservation through conservation easements maintaining the property’s natural beauty and limiting the density of homes or other development.